VIVUS Inc. – the manufacturer of Qsymia weight loss pills – released a press release on Monday that announced the results of a promising retroactive study on Qsymia safety. Authors concluded that the risk of major adverse cardiovascular events, such as heart attack and stroke, is lower when taking Qsymia, generic phentermine & topiramate (combined), or phentermine alone. However, the occurrence of adverse events in some patients reduces the results’ statistical significance. Qsymia is a prescription weight loss pill that combines two different medications to achieve maximum efficiency. 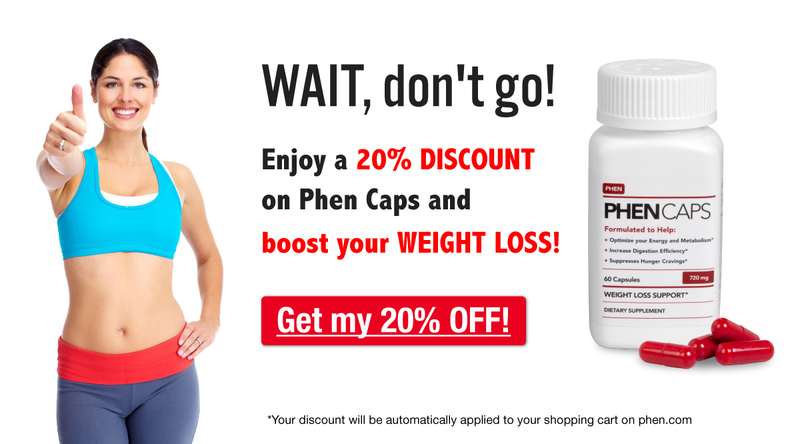 While phentermine activates the central nervous system to suppress appetite and boost energy, topiramate reduces cravings and makes food less appealing. This unique combination reduces both physical and psychological interest in food, which allows Qsymia users to focus on other things and lose more weight. Due to this uniquely efficient approach, the relatively-new pill’s popularity has exploded in recent years. Qsymia is the only combined phentermine-topiramate pill on the market right now. While some doctors prescribe the two individual, generic medications at the same time, there is no single, generic combined pill at this time. ⇒ Click here to learn more about Qsymia weight loss pills. Qsymia is available for overweight and obese patients looking to complement their non-pharmaceutical weight loss efforts. Like all prescription weight loss drugs, Qsymia works best alongside a healthy diet and regular exercise routine. However, it is not safe to use Qsymia in the presence of certain medical conditions or other medications. For example, this phentermine-topiramate pill is not appropriate for pregnant women, nor patients with glaucoma or hyperthyroidism, or those who have used an MAOI in the past 2 weeks, or are sensitive to any component of the medication. Due to the long list of contraindications and potential interactions, a medical doctor is the ONLY person qualified to assess whether Qsymia is appropriate and safe for you. In a poster entitled, “Cardiovascular Safety of Phentermine and Topiramate in a United States Claims Database,” the authors reviewed relative cardiovascular risk for patients taking different weight loss pills and combinations. The authors also compared these patients’ cardiovascular risk to statistics of similar patients (former users) that no longer had any medication in their system. Occurrence of cardiovascular events was measured by analyzing old MarketScan Commercial Claims and Medicare Supplemental data. More specifically, poster authors looked at discharge statuses and ICD-9 codes (insurance claim codes) from hospitalized patients to analyze the occurrence of MACE in different groups. Researchers found that, when compared to similar patients, MACE risk trended lower among current users of Qsymia®, a generic phentermine-topiramate combination or phentermine-only. Risk was higher for patients taking topiramate only. However, some current weight loss medication users did still experience major adverse cardiovascular events. The number of adverse events among medication users was significant enough to lend statistical uncertainty to the findings. Nonetheless, the reported results are interesting because they build on previous studies that point towards the potential safety of Qsymia in patients with some cardiovascular risk factors. The results of this study were presented at the 34th International Conference on Pharmacoepidemiology & Therapeutic Risk Management, which took place in Prague from August 22-26, 2018.